If you’re a parent whose child uses a tablet, you’ll already be well aware of just how connected with it they can be. If you’ve ever tried taking away a tablet for your child, telling them they need to do their homework, go to bed, or they need to study, you’ll know what a mission this can be. However, while technology is relatively new on the grand scale of humanity, the effects that technology is having on us is starting to appear, and for many of us, it’s starting to go too far. Some parts of the world now have technology addiction clinics in operation, and the mental health effects of excessive use are evident in terms of anxiety, depression and reality disconnection. As a parent, you’re responsible for educating your children on how to have a safe and healthy relationship with technology, and so they don’t end up wasting their lives. Today, we’re going to explore this topic in detail and provide solutions to this growing concern. The average tablet usage for a child ranges between 4-7 hours a day. Back in 2014, research shows that 40% of children were able to use a tablet before they were able to speak. While this may not cause a problem in itself, the long-term effects are becoming clear. 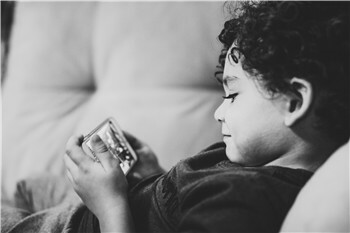 If your child is obsessed with playing tablet games, watching YouTube videos or binge-watching Netflix, this is a clear indicator that they are becoming more disconnected from reality and the real-world. What’s more, the knock-on effects of using tablet computers are more dangerous than the tablets themselves. Childhood obesity due to lack of exercise is at an all-time high. Children who are victims of cyber-bullying on social media have been known to develop symptoms of depression and anxiety, and, sadly, the number of suicides relating to this are on the rise. In terms of cognitive functions, the human brain craves a connection with nature, fresh air, and exercise for it to remain healthy. Excessive tablet usage only makes this worse. This usage can also affect your child’s ability to perform well at school, or to get a replenishing night’s sleep. While moderate tablet use is not dangerous, and can actually be extremely beneficial, it’s all about finding the right balance. With this in mind, let’s learn about how to set parental controls on tablet. Every tablet, smartphone, and digital device comes with some kind of parental control. These are settings and features that help you customize the functions of the device so your child can find balance. This could be monitoring screen usage, blocking access to the device, or certain apps, and setting up web filters so your child cannot access harmful online content, or give away sensitive private information on websites and social media platforms. By utilizing these features, your child can ultimately enjoy a safe, healthy and balanced life where technology can be used as one form of entertainment, and a tool to benefit them, all while enjoying the rest of their lives. The most recent parental control app to come to the industry is FamiSafe. 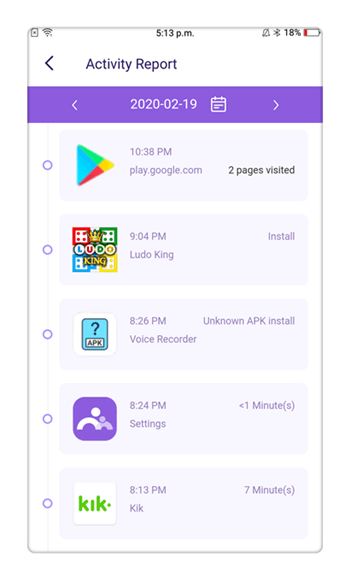 This is a feature-rich application that works on both Android and iOS devices and can be downloaded for free via the App or Play Store. It also works on both tablets and smartphones. 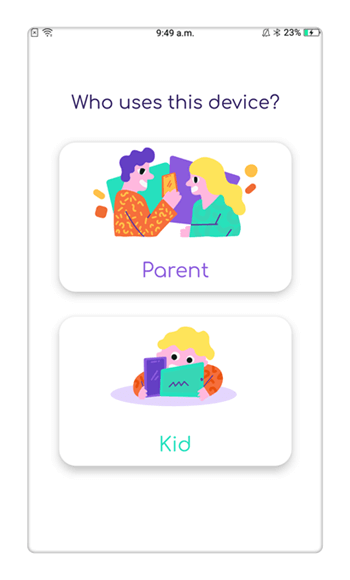 The purpose of this app is to give you full control over your child’s device, helping you to see exactly what your child is doing on it, what apps they are using and what content they’re viewing, giving you all the information you need to make the right decisions when it comes to device control. Here are some of the features you can benefit from. Unlike other parental control apps, FamiSafe doesn’t require you to access your child’s phone to make any setting changes. 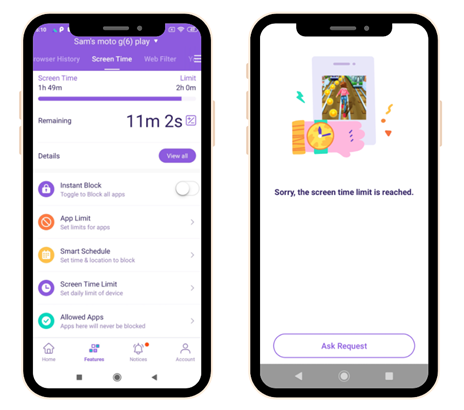 The app is installed on both you and your child’s device, meaning every time you want to do something, you can do so from your own phone. So you can see what your child is up to, FamiSafe provides you with full reporting of how long your child is using their tablet for, what apps they are using, and how long they are using each app for. This means you can track excessive usage and make the right decisions. Use FamiSafe to see exactly what websites your child is accessing on their tablet, so you know what content they are looking at. 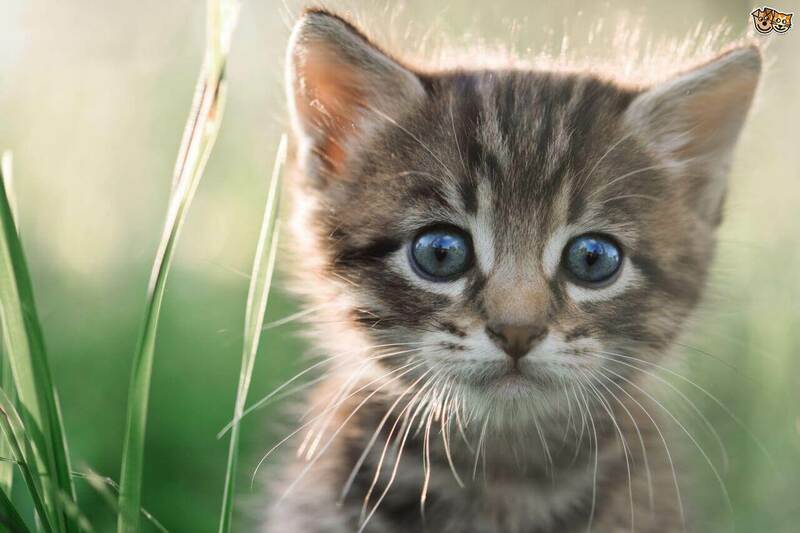 You can also apply web filters to stop them accessing harmful and dangerous websites. This is ideal for pornographic, gambling and violent, age-restricted content. 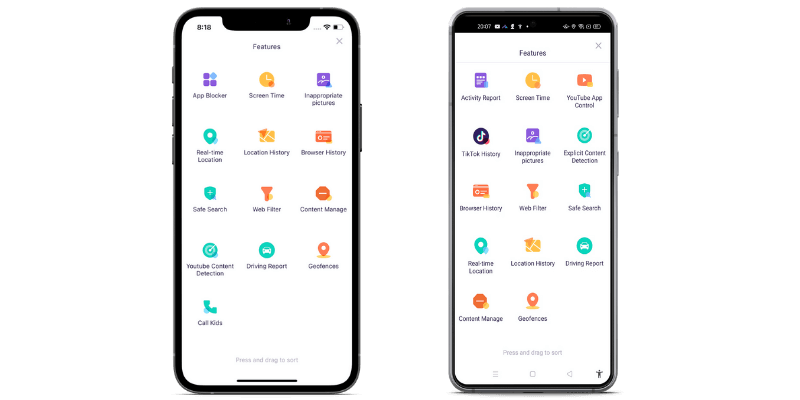 In addition to seeing what apps your child is using, you’ll also be able to see what they are installing and uninstalling, how long they are going on them for and how they are interacting with them. From here, you’ll be able to block access to these apps, which is perfect for while they’re at school, studying or at bedtime. 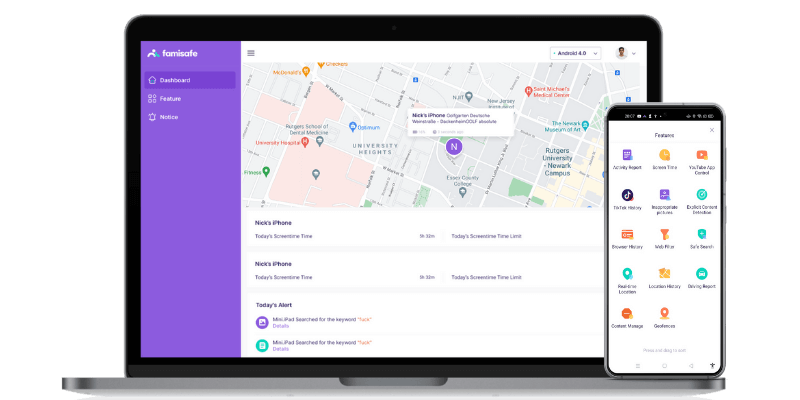 You can even use FamiSafe to track the location of your child in real-time, no matter where they are in the world. This means you can make sure your child is where they say they are, making sure they’re staying in school, and you can even set up geo-fences as safe zones. 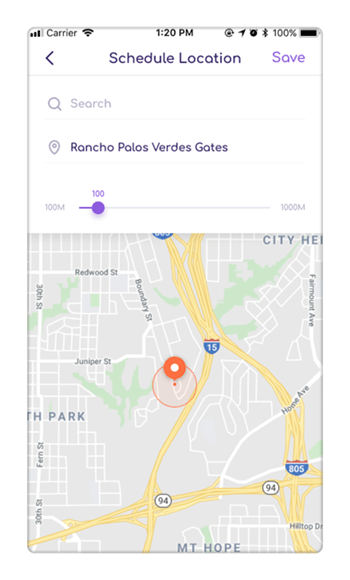 With geo-fences, you’ll receive a notification when if your child leaves or enters this area. With all this in mind, let’s learn how to set parental controls on tablet using one of the safest and most reliable solutions. How to Set Parental Controls on Tablet Using FamiSafe? If FamiSafe seems like the parental control solution you’ve been looking for, you’ll be happy to know that they’ve made it as easy as possible to set up and use. Here’s how to set parental controls on tablet. From your Android or iOS device, head over into your respective app store on both your phone and your child’s phone. Search ‘FamiSafe’ and download the app. It will install automatically after download. 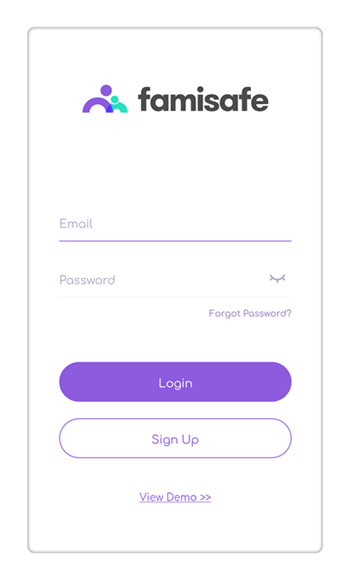 Once installed, open the app on your own phone and sign up for an account. There are step-by-step instructions on how to do this, and you’ll need your email address and to create a password. When you’ve signed up, tap the ‘Parental’ option on your device. On your child’s device, sign in using the same details as your registered with and select the ‘Child’ option from the main menu. You can now follow the on-screen instructions on how to connect both devices together. Once installed, you can give your child’s phone back to them. On your own device, open the app, and you’ll be presented with the main menu. From here, you can access a range of various options, and explore them as you please. 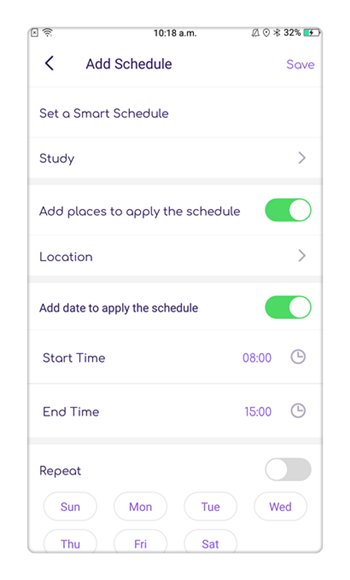 If, for example, you want to set up a Schedule in which your child can use their device, tap the Intelligent Schedule option. You can then add an option, such as School, where you can input times that your child is at school. Add the start and end times of the schedule, and the device will be blocked during these times. You can add as many schedules as you like. 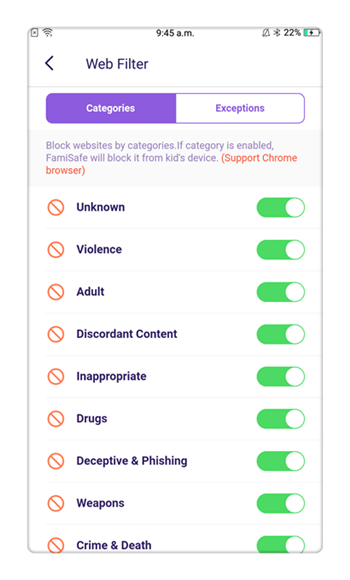 As you can see, when it comes to learning how to set parental controls on tablet, there’s an easy solution that makes it simple to take control of your child’s best interests at heart. 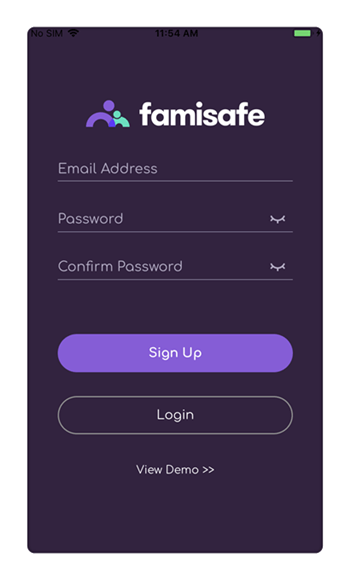 FamiSafe is free to download and install onto any device, and only costs $9.90 per month afterward, ensuring an affordable option to help your child live a balanced life.